Do you want to make comics, or maybe just have a better understanding to be able to critically read and evaluate? These two desires drove me in high school not only to read and draw my own, but also to try and find resources on how to effectively tell stories in the comic book medium. A great tool that I found was the book Making Comics. If you are looking for a step by step guide of any kind, or if you are looking for an anatomy introduction or beginners course in perspective look elsewhere (Figure Drawing for Dummies). Scott McCloud, the author, is interested in principles, not formulas. While this does not mean that the above are not present in abbreviated form, this book’s primary focus is on broader principles. McCloud is interested in presenting options and information, not teaching a color by numbers approach. 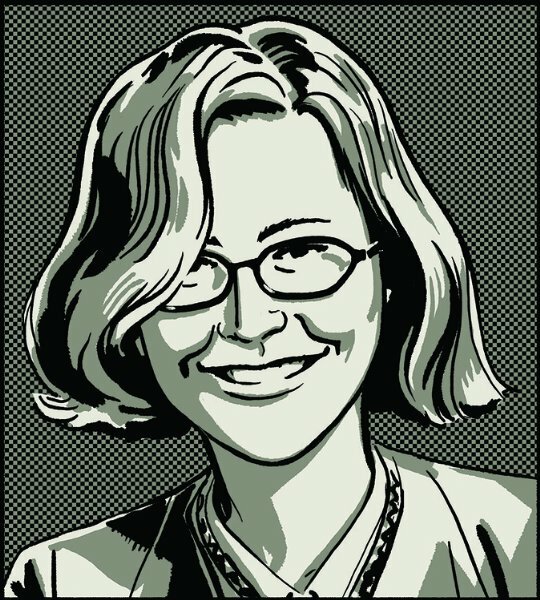 Scott McCloud’s book is unique in that it is actually a comic book itself. This means that while he is teaching principles, the book itself is demonstrating the very things he is talking about. He discusses in depth the use of page layout and its interaction with pacing and intensity. He talks about art, and using it on its own and in conjunction with words to most effectively communicate ideas, emotions, and story. All the while, the pages of his book visually reinforce everything he is discussing. Scott McCloud’s book Making Comics is by far the most valuable resource I have found for learning the principles surrounding effective comic making. It is easy to read, but eminently approachable and useful since it is in comic book form itself. Scott has studied this art form his whole life, and he is able to concisely communicate core ideas in a natural way. Whether you want to make comics, or simply be better equipped to read and evaluate the comic books in your personal collection, this is an excellent resource. Every natural disaster leaves behind stories of misery, of courage, of cowardice, and of perseverance, and Hurricane Katrina is no exception. Eleven years ago, the huge hurricane swept the Gulf Coast, leaving 2,000 people dead and thousands homeless, particularly in flooded New Orleans. It was a time of great trial, but the adversity led to many great and many small acts of heroism. Drowned City by Don Brown is a graphic novel which details the emergence of a small storm near Africa that soon whirls into a tropical storm, then a Category 5 hurricane. When Katrina hits low-lying New Orleans, the city is only partly evacuated and is unprepared for the water that breaks the levees and floods the city. During the flooding, people are stranded on rooftops and crowded in the Superdome. As the water recedes, aid to the city is slow and disorganized, and the crowded conditions in the New Orleans Convention Center and the Superdome become squalid. In Drowned City, author and illustrator Don Brown stitches together facts and personal accounts of what New Orleans was like after Katrina hit. Brown researched his book well, and his book provides a concise narrative about Hurricane Katrina’s effects on New Orleans. However, the subject matter of the story is inherently dismal, and Drowned City focuses more on the suffering citizens and incompetent relief organizations than it does on the heroes who helped those in need or the lessons people learned. Don Brown did an excellent job of writing and illustrating Drowned City, but the content and focus make it far from uplifting. Perhaps the situation was as dismal as Brown depicts it, but I wonder if, in the search for historical accuracy and realism, Don Brown missed many of the stories of hope, of kindness, and of lessons learned. An example of a story that illustrates hope and kindness is the picture book Two Bobbies. It is an account of two animals Katrina left stranded, animals who were lost like so many pets during the evacuation of New Orleans. Two Bobbies by Kirby Larson and Mary Nethery and illustrated by Jean Cassels narrates the true story of how the dog and cat friends Bobbi and Bob Cat survived Katrina by sticking together and how they found a new home. Well-written and -illustrated, Two Bobbies sweetly captures the pair’s story and friendship. Since comic books and graphic novels took off as a genre, fiction has dominated their pages in the shapes of superheroes and fantastical settings, stories, and characters. In recent years, however, this trend has started to change. As publishers and authors have begun to recognize the potential of the comic book, the genre has expanded to include history. The Forgotten Man by Amity Shlaes, adapted by Chuck Dixon and illustrated by Paul Rivoche, is a recent example of this trend. Amity Shlaes first released her book The Forgotten Man: A New History of the Great Depression in 2008. 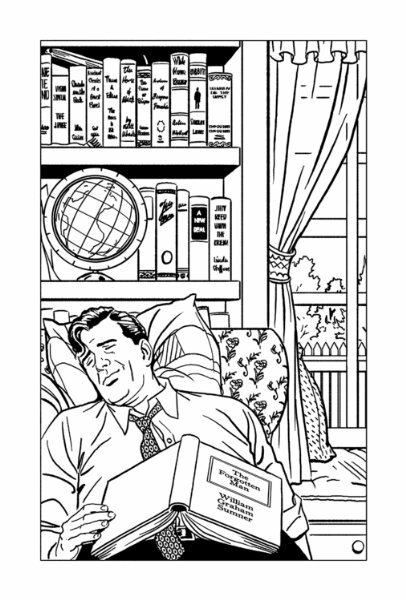 Then in 2014, a graphic edition of The Forgotten Man appeared. The graphic edition of The Forgotten Man is narrated by Wendell Lewis Willkie. During the Great Depression, the real-life Willkie was head of the power company Commonwealth and Southern. Later in his career, Willkie unsuccessfully ran for the presidency against Franklin D. Roosevelt in 1940. In The Forgotten Man, Willkie is telling his wife “Billie” about the Great Depression. The book is a mixture of Willkie’s personal experiences, snapshots of other people’s stories, and the effects of the New Deal; this mixture combines to form an overarching tale of the Great Depression. Because of the chronology of The Forgotten Man, characters enter, exit, and reenter the story, and threads are picked up, dropped, then continued. This organization can make the story confusing and choppy at times, but a helpful “Cast of Characters” is located in the back of the book with the portraits, names, and brief biographies of each main character. Also, when the story shifts from the past to Willkie’s present, Rivoche helps clarify the transition by using black-and-white illustrations for the past and sepia for the present. Although The Forgotten Man has lost some of its clarity and historicity by being turned into a graphic novel, I think the new form has several advantages. As I have discovered since reading the book, its graphic edition is curiously appropriate, for it was in the 1930s that the funny pages of the late 19th and early 20th centuries developed into the comic book (“Graphic Novel”). In addition, the illustrations combine with the story very well. The bleak pictures and brief shots of people, places, and events tell the story effectively. As readers meet the characters of the 1930s in the pages of this book, they learn the characters’ faces along with their names. Unlike in regular history books, which might introduce a new individual with one or two photographs, in The Forgotten Man characters’ presence in the story obliges their appearance. This will familiarize readers with the faces of famous men like Franklin Roosevelt, infamous men like Leon Trotsky, and forgotten men like Andrew Mellon. When I heard about the graphic edition of The Forgotten Man, it caught my interest. My sister had read and enjoyed the original book, and I wondered how well a history book about economics and the Great Depression would adapt to a graphic form. Despite a few drawbacks, I think that the graphic edition of The Forgotten Man is a success. The new version allows Amity Shlaes and her coauthors to pull back the curtain of history and show their audience a glimpse of what life was like for Americans during the Great Depression – for the powerful politicians, for the suffering poor, for the persecuted rich, for the forgotten man. “Graphic Novel.” Encyclopædia Britannica. Encyclopædia Britannica Online. Encyclopædia Britannica Inc., 2015. Web. 14 Sep. 2015 <www.britannica.com/art/graphic-novel>.